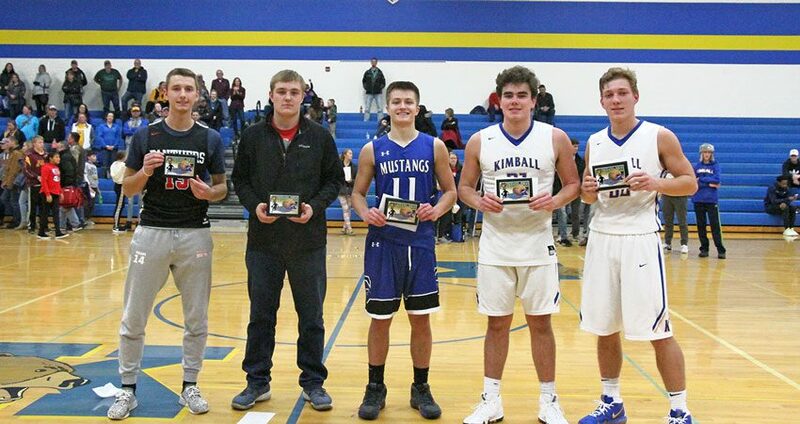 All-tournament team: Mora players are Coleton Steffen, (unknown), and Matt Venhuizen; Kimball players are Drew Gustafson and Noah Jurek. Kimball hosted a Holiday tournament Dec. 14-15. (See story on page 12.) Photo courtesy of Amanda Garding. 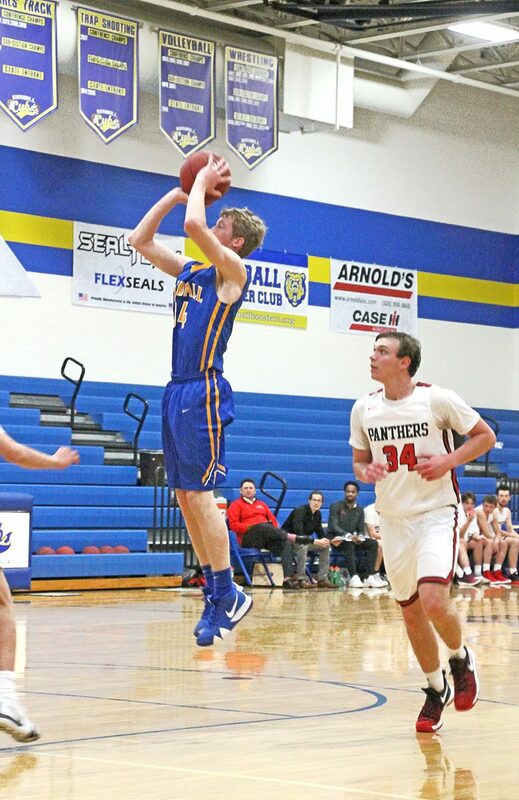 Kimball junior Brian Binsfeld puts up two points for Kimball against PACT Charter Friday night, Dec. 14. Photo courtesy of Amanda Garding.